Location Stay at the 4* Seafield Golf & Spa Hotel in Gorey, Co. Wexford, on the Dublin Road. The hotel is conveniently located close to pubs and restaurants. Some of the attractions in the surroundings include the historic Market House, the Court House, the Monument of the 1798 insurrection, or the Market Square. It is also the perfect place to explore Dublin. Rooms Seafield offers a variety of accommodation with four star standards to suit your personal requirements. Executive Suites are individually decorated and all have balconies, double sinks, elegant furnishings and superb facilities throughout. You may wish to choose a Deluxe Bedroom, where you will find deep luxurious mattresses, fresh crisp linen of the highest quality, thereby providing you a wonderful haven of comfort. Facilities include: direct dial telephone, tea/coffee making facilities, plasma flat screen TV, electronic safe, high speed Internet access, hairdryer, trouser press, iron and ironing board etc. Laundry and Dry Cleaning service also available. Restaurant To have a great restaurant is an essential part of any great hotel experience, and Seafield is no exception. You'll find great food, with an emphasis on fresh produce and an excellent wine cellar. Furthermore, if you’re just looking for a quick snack or something casual, an extensive bar menu is available from early to late. Seafield features a choice of dining options. Please make sure to book your table as early in advance as possible as the restaurant is very busy! Bar/Lounge Seafield Bar - Adjacent to the lobby and overlooking the golf course, the Bar is a wonderful, welcoming meeting spot, serving an exceptional collection of wines, champagne, Irish and international beers and premium brands. Guests can also enjoy evening cocktails and a wide selection of Irish whiskeys. Step outside and enjoy a drink on the terrace, overlooking the golf course. Golf Seafield Golf Club boasts an 18 hole Cliff top parkland course. In the heart of golf country, the eighteen holes at Seafield are exceptional from tee to green. Featuring sand based greens with some very demanding par threes and water features throughout ensures that all golfers from pros to amateurs alike will find much to challenge and delight during a round. 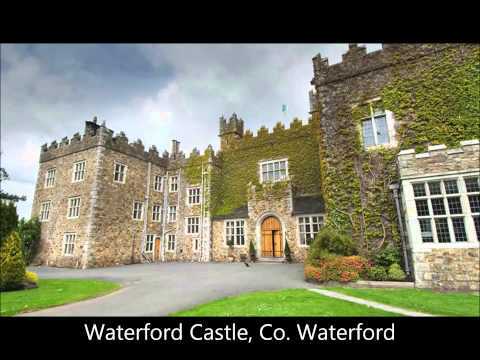 Check out our blog on the Top 10 Things to do in Wexford during your stay in the county!